Welcome home to 7721 Jonquil Drive in beautiful Shacklette Acres. 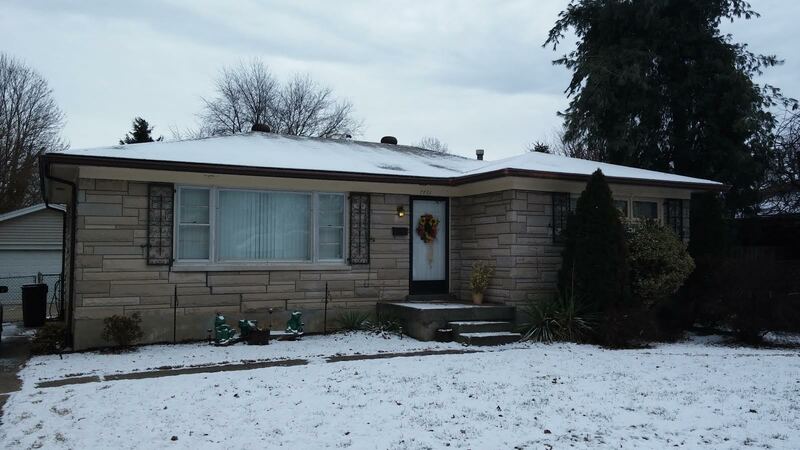 The Hollinden Team has a new house for sale located in the heart of PRP. This family friendly neighborhood has everything to offer as it is convenient to shopping. This was a great home that sold in 34 days. Contact the Hollinden Team today to see how we can get your home sold. This home is move in ready and available for a fast possession. It has been well taken care of and is as clean as they come. This house has beautiful hardwood floors throughout the main level, an eat-in kitchen with newer cabinets, counter tops and appliances. There are three bedrooms one of which can be easily used as an office or a dining room. The spacious family room lets in a lot of natural light with the large windows on the front of the house. This home also features a large partially finished basement and wouldn’t be complete without the 2.5 detached garage. The backyard offers a great playing area for either your kids or pets. The back yard is fully fenced in with a chain link fence, neighbors on both sides have a privacy fence giving you the privacy you long for. There is plenty of room for a large deck to be put in or a patio. The opportunities are endless for you to create your own oasis. What makes this home even more appealing is its close proximity to at least three schools. Pleasure Ridge Park High School, Greenwood Elementary and Eisenhower Elementary all in walking distance. There is ample shopping up and down Dixie highway as well as close access to the Watterson Expressway or the Gene Snyder which can put you downtown in no time, it all just depends on your destination. Call The Hollinden Team today to arrange for your private showing of 7721 Jonquil Dr. Louisville KY. If this is not the home for you Tera Hollinden will find the one that is. Contact Tera today for all your real estate needs at 502 387-4167. Search all homes for sale in PRP and the Greater Louisville area on www.LouisvilleHomesFAST.com.